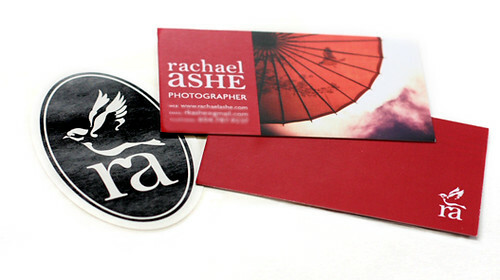 Vancouver photographer Rachael Ashe recently asked me to design her business cards. As part of the project I also created a logo for her that reflects her interest in and use of birds in her photography and collage work. The logo has also been adapted for use on stickers, stamps and labels to further brand her artwork. More images of the work are posted in my online portfolio.